Looks Good from the Back: Beauty Reviews: What I'm Liking Lately. 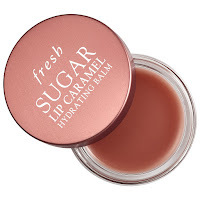 Fresh Sugar Lip Caramel Hydrating Balm - I got a deluxe sample of this balm a while back and it's delightful! 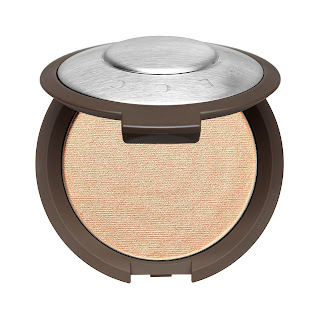 It smells like caramel (but isn't overly cloying) and goes on sheer and shiny. It's perfect for helping to sheer out super-pigmented lipstick or just when you want a little something. It's not groundbreaking, but I like it. 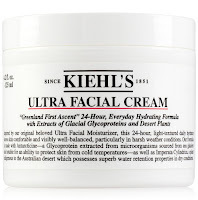 Kiehl’s Ultra Facial Cream - I bought a big ole tub of this to slather on my sad face and so far, so good. I do not love the tub packaging but I do like that I get a ton of product for the money. It's pretty basic stuff, but quite good and simple. I use this as my top layer at night, and under sunscreen during the day. CSI Vitamin C + 12% Youth Serum - I've used this on and off for a while but I don't know that I've ever talked about it. Most vitamin C serums break me out but this one doesn't! It's a simple formula (only two ingredients) but very effective and SO inexpensive. If you're in the market for a vitamin C serum, you could do a lot worse. Hairgenics Lavish Lash - I read a glowing review for this lash growth serum on a beauty forum and took advantage of a two-for-one deal. Marianne and I both gave it the old college try and we were both... underwhelmed. I didn't notice any difference at all and neither did she. Booo. Marianne has had really good results with the Rodan and Fields serum but it's too expensive for me. Do any of you have a lash/brow growth serum you swear by? I'm on my 2nd tube of GrandeLash (from Amazon) and I actually see results. I went from having invisible eyelashes to having a fair set (they actually curl up at the outer corner!). With Urban Decay's lash primer and Stila's HUGE mascara on, I get compliments all the time. One tube lasts about 3 months and it took almost a full tube before I noticed growth. 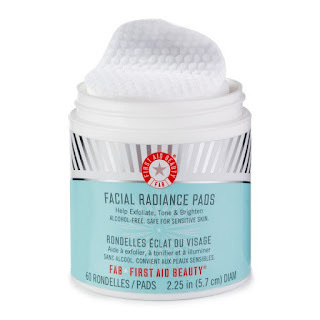 I need to repurchase but they've upped the price by about $15. Jerks. Adina at bluecollarredlipstick.com swears by EyEnvy and I trust her opinion. I actually learned about her blog from you! :)(http://bluecollarredlipstick.com/2017/08/how-to-get-the-eyelashes-of-your-dreams/) It is $100 per tube, but cheaper than Rodan & Fields! I've tried Neubrow and it was effective, and I've heard that Neulash is also amazing (it is $95....during the Nordstrom Anniversary sale it's usually two for the price of one). The good thing about Neulash is if you buy from Nordstrom and don't like it, you can probably return it since their return policy is amazing! Good old fashioned castor oil! Have you considered that they are perfect and CAN'T be improved? Ever tried Latisse? If you get a good sale it's around $110 for 5ml. It last quite awhile because you only need to do every other day. That's what I do, at least. Revitalash is my holy grail. I stock up in July at the Nordstrom Anniversary sale when it's BOGO. I've been trying Lavish Lash and am not sure if I'm actually seeing subtle results or if I just want to. How long have you been using it for? I'm about 6 weeks in. I got it a few months ago and used it nearly every night for a while. No results at all. Maybe I didn't give it enough of a chance? I'm a market partner for Monat and we have a lash serum. I will email a link to some details. Cheaper than R&F and the results are similar. Sadly, I jumped on that R&F train and just can't get off now bc they've made me love my lashes for the first time in my life. Dammit! Same. The stuff is legit. My lashes are amazing. And the tube lasts a long time. I think I'm 4 months in on my first tube.